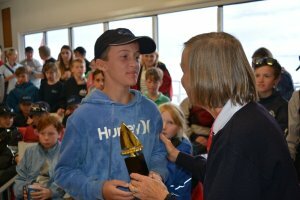 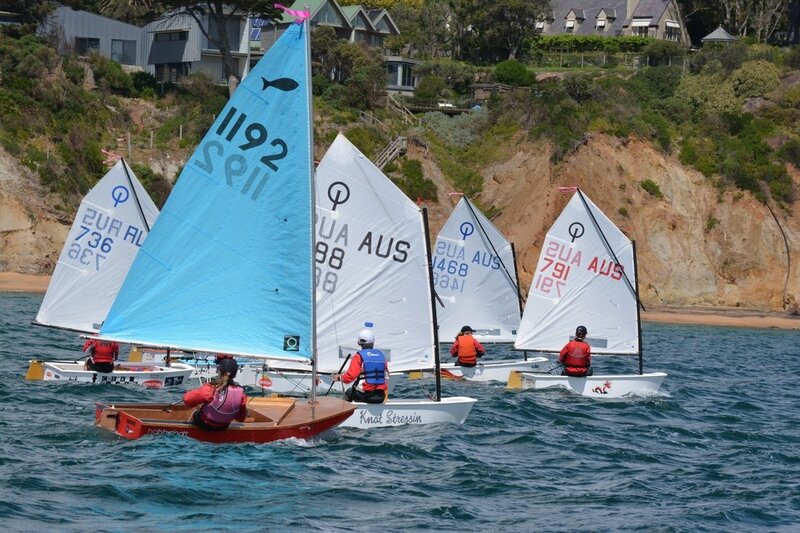 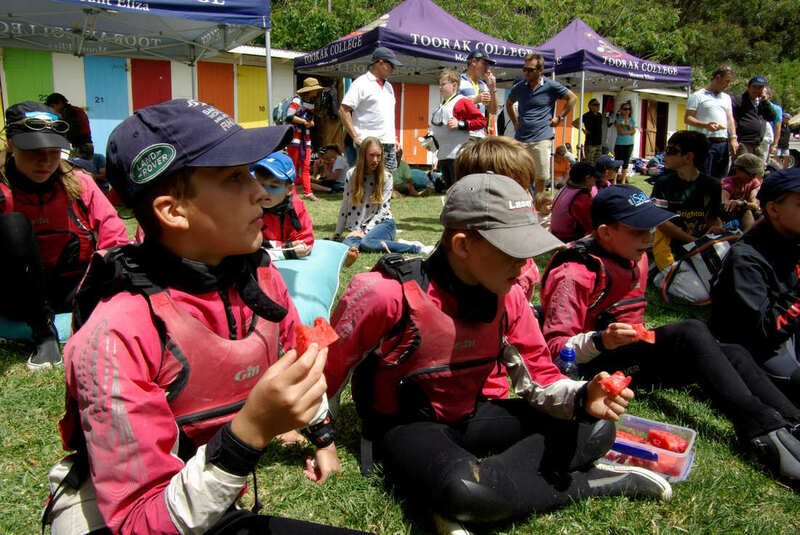 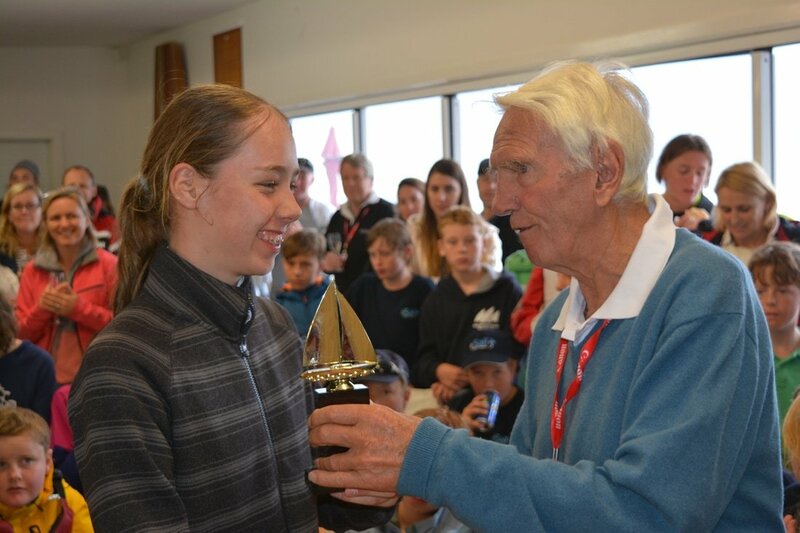 The eighteenth and final Lidgett Trophy was run on the weekend with ten minnow entries. 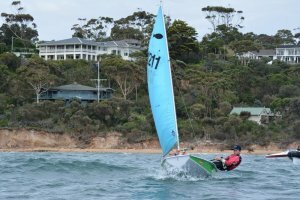 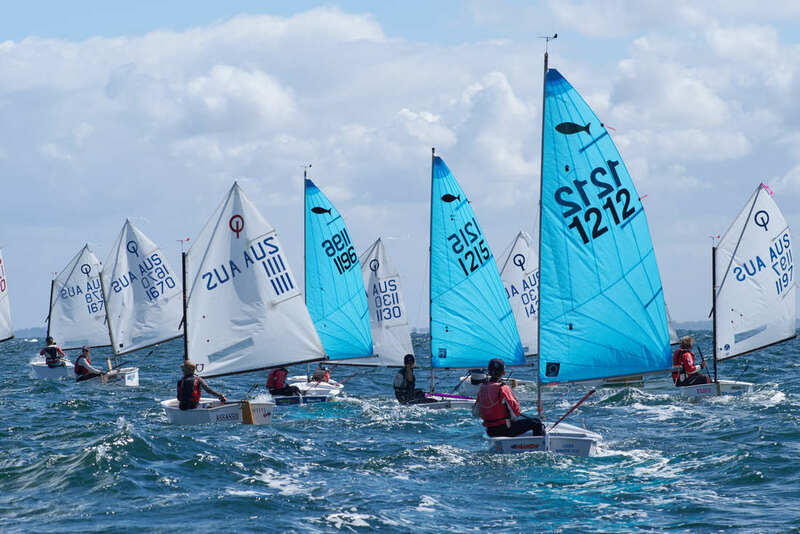 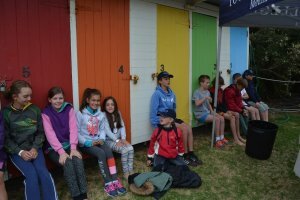 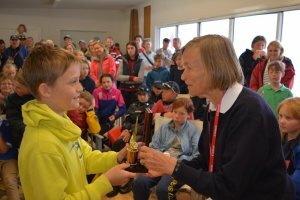 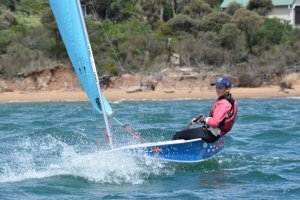 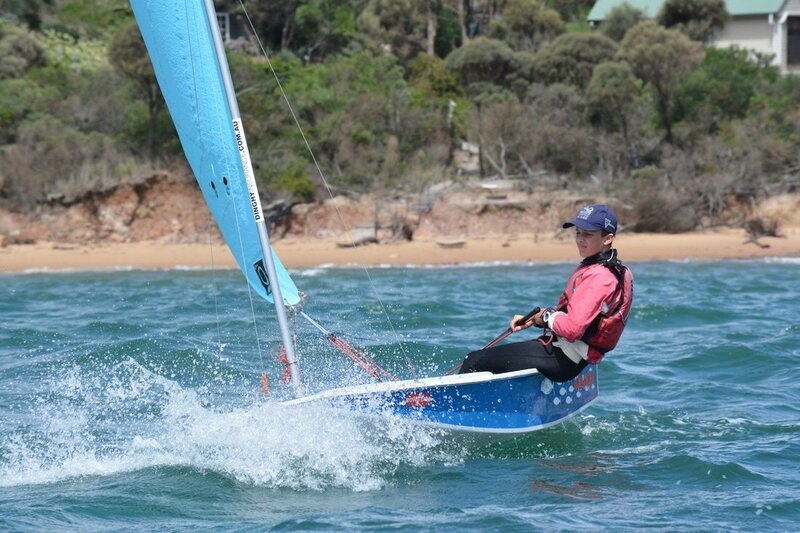 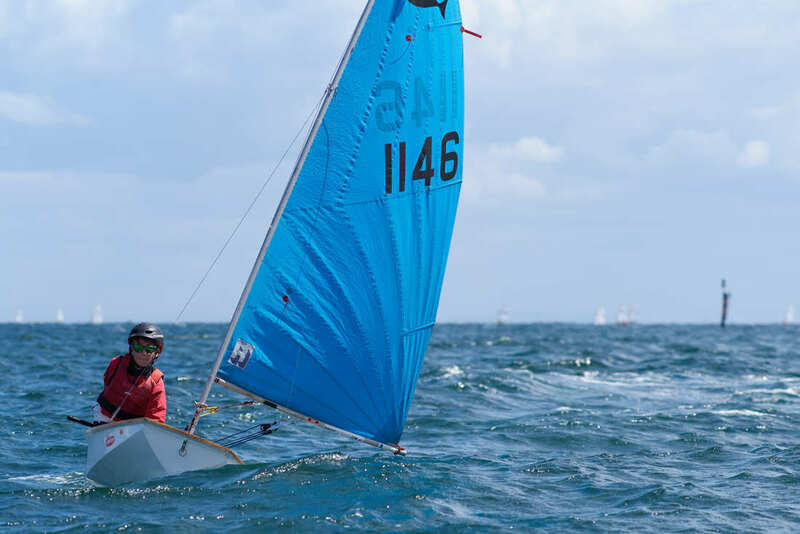 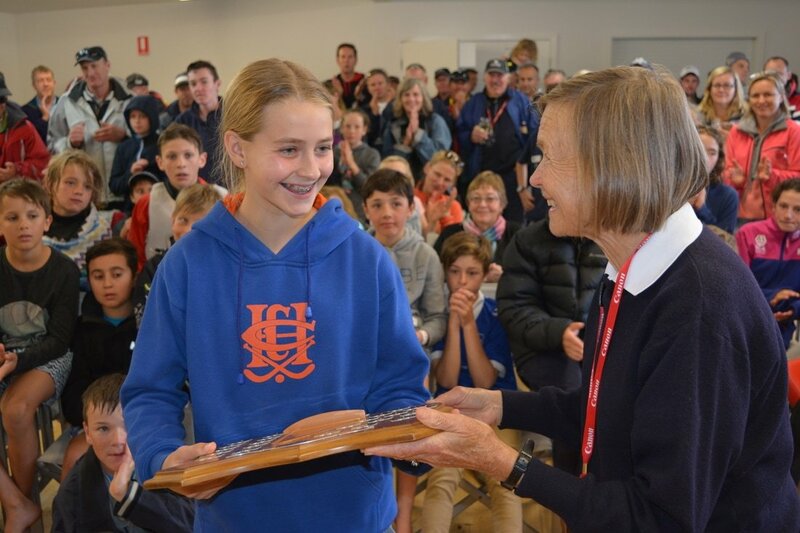 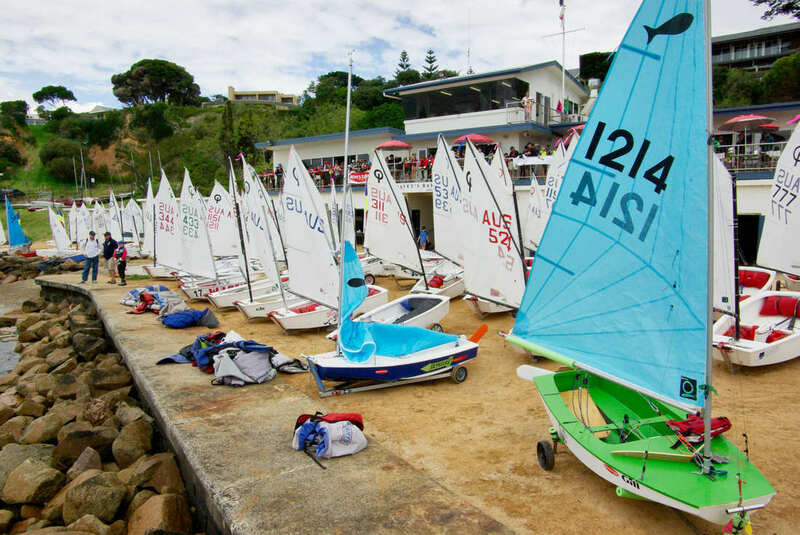 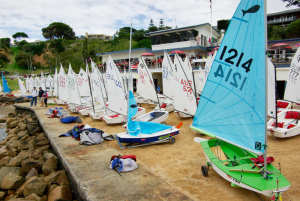 The format for each day involved a morning of coaching from Victoria's best young sailors followed by racing in the afternoon with feedback from the coaches after the races. 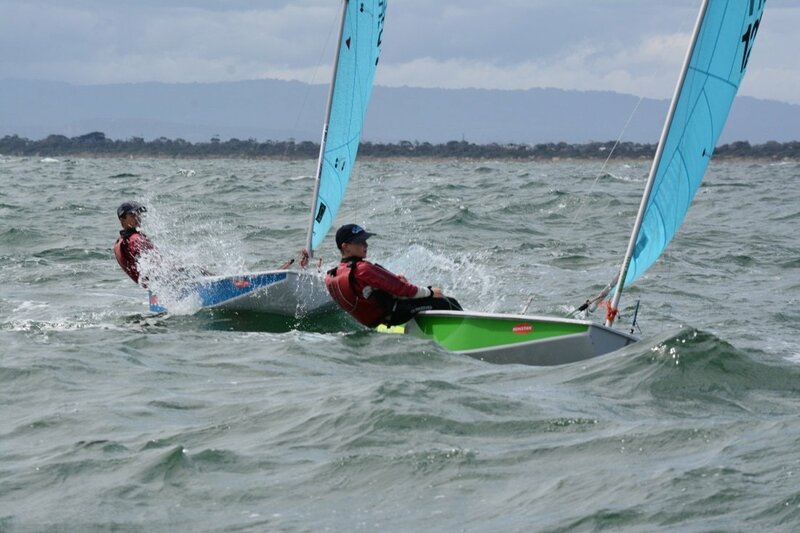 In the Novice Blue fleet Campbell Mathews and Eliza Kemp were among a big group of Optis and did very well in quite windy conditions. 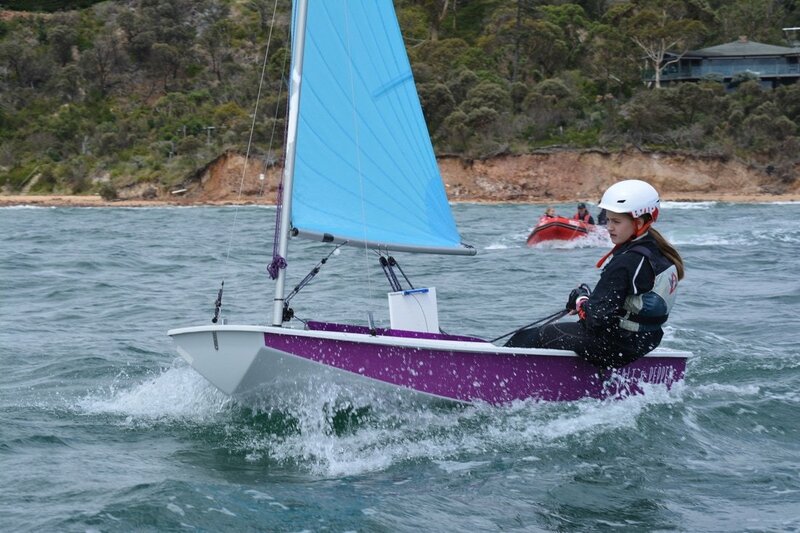 Unfortunately Eliza was unable to avoid an unpredictable Opti and was involved in a collision. This must have fired her up because she went on to win the race but unfortunately her boat had been damaged and she had to withdraw from the rest of the races. 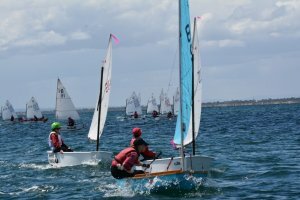 In the Intermediate Minnow fleet we had Lauren Kemp, Daniel Grimshaw and Isabelle Mathews training and then battling for honours in the races. 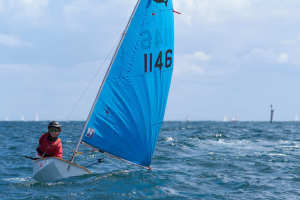 Lauren of Beaumaris YC won each race followed by Daniel and Isabelle. 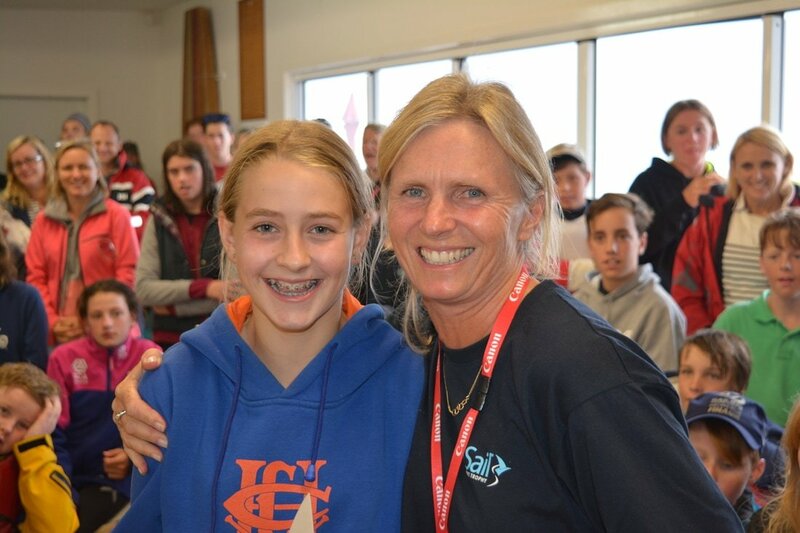 The Advanced Minnows were dominated by Sally Danks who won each race by half a leg. The Schey boys finished within one point of each other with Lachlan claiming bragging rights over his brothers on a count back. 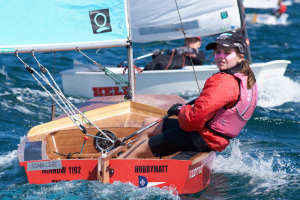 Misha Campbell was hot on their heels in each race and came fifth. This group sailed a little further off the shore and came back in with stories of surfing on the big waves that had formed after several days of strong winds. 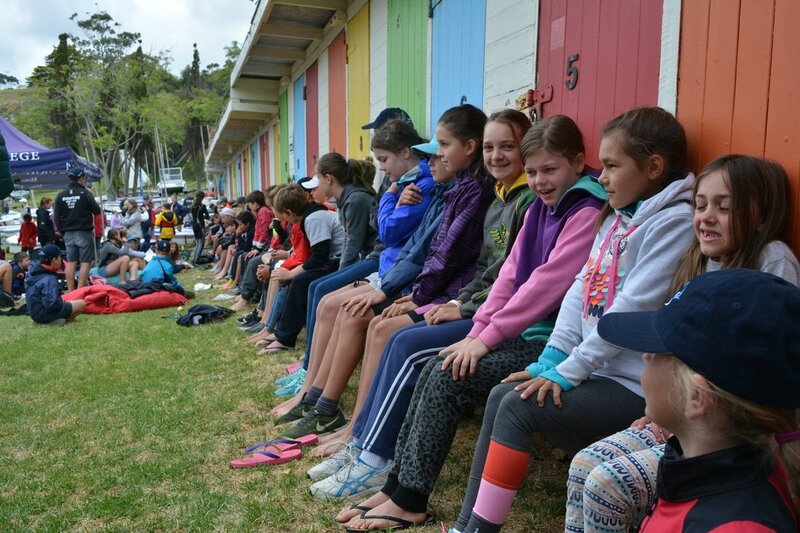 It was great to see Paul Rogers back and provide the coaching to the entire Minnow group on Sunday. Sally claimed the overall Minnow prize which was presented by her aunt, Jeni Lidgett who is one of the organisers of the event. The next event on the Minnnow Calendar is the State Titles, get your entries in now. Full results for advanced and intermediate. 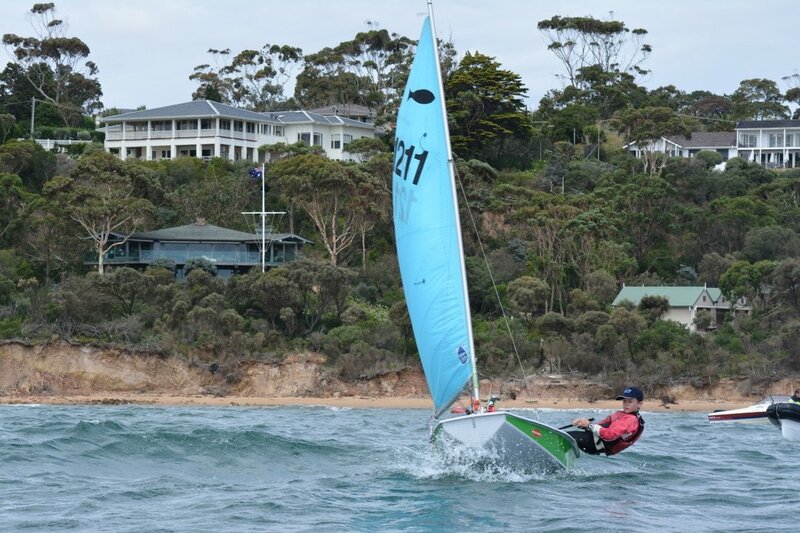 Photos all courtesy of Davey's Bay.